Looks like a fairly easy build. The Amazon page has dimensions in the Q&A section to get you started. The comments tell you where it needs improvements. 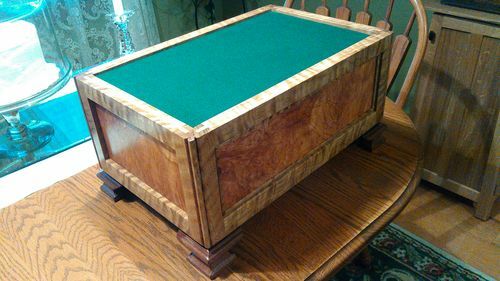 i built this a few years ago for a friend. 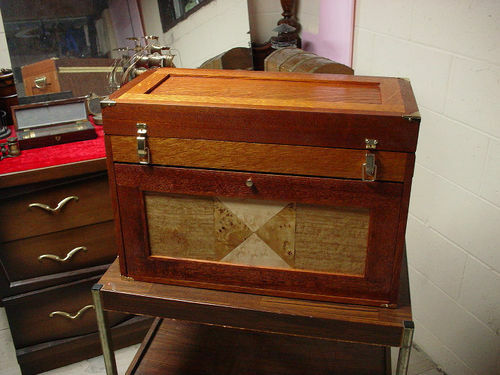 he had an old solid oak door from his home he wanted me to use for construction.veneer on front isnt from door,though. 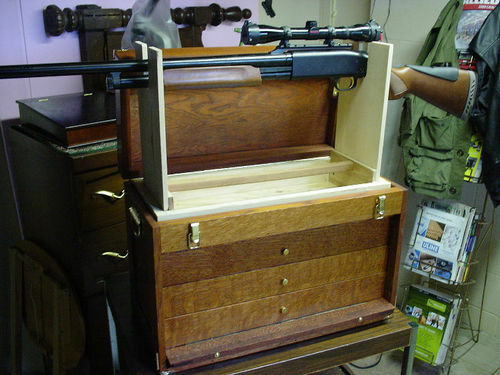 i basically looked at pics online of wooden tool boxes and figured the dimenstions that would work for the gun cradle and just went to town. Those are both good examples. 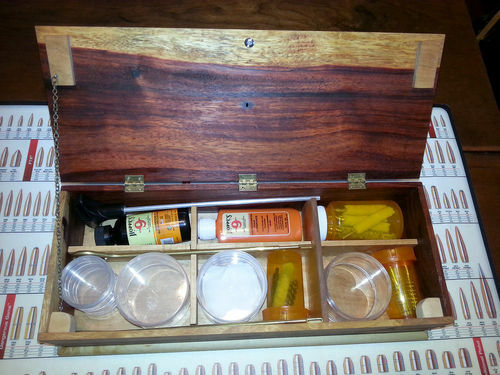 I use a Plano tackle box with pullout drawers and hinged top—simple plastic version of tomsteve’s very nice wood box. Suggestion – make your design tall enough for 2 oz or 4 oz solvent bottles to sit upright. My tackle box is tall enough for some, but not others. The ones on their side or angled with product at the lid normally leak. Brownells sells nice bottles. 4 oz tall are 5”, 4 oz short are 4”. Big problem i’ve had over the years is the two piece cleaning rods, i’ve gravitated towards the one piece and boy howdy do they tend to work better, and then its the storage and hard time it is to keep from being bent. 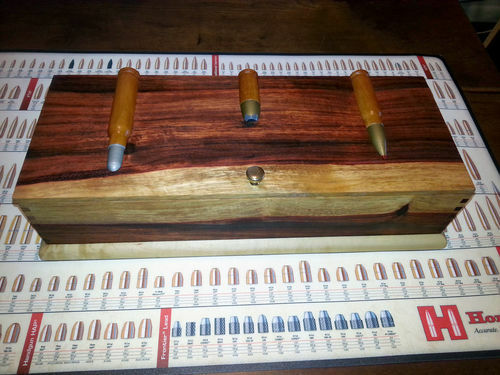 I made a pvc tube drilled holes and slide them in, I don’t have a gun cleaning box so to speak but have a shooting box that goes to range on all trips, has the requisite misc. rods and stuck case gear. Me thinks a huge box is in order. nice looking units here, wished i could downsize. 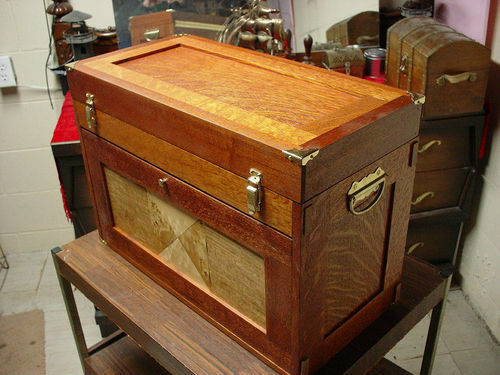 Hand gun cleaning box I built for my son 3 years ago. Drawer pulls out with supplies, felt top is easily replaceable. Also installed walnut handle after this picture.